It soothes. It protects. It moisturises. 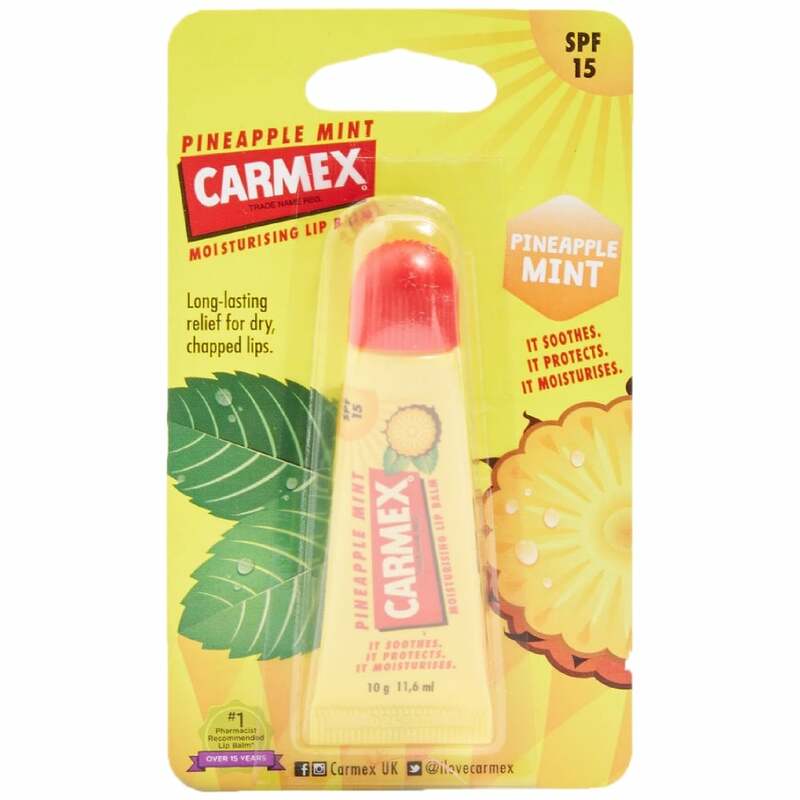 Carmex is a squeezable medicated Lip Balm that goes on smooth to soothe and protect dry, chapped lips with an SPF15 and a delightful duo of sweet pineapple and mint flavours. A sweet sensation of juicy pineapple that explodes to an after hit of cool mint, just as that trusty tingle kicks in, that leaves your lips moisturised and soothed in an unexpected punch. Long-lasting relief for dry, chapped lips. Apply liberally and evenly as often as necessary. Especially useful before and after exposure to sun, wind or low temperatures. Recommended before and after lipstick application to preserve and restore moisture. Reapply frequently to maintain protection.